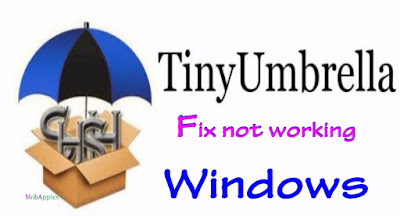 I've been looking everywhere for a solution why TinyUmbrella was unable to start. The application runs through a couple of flash screens including "unable to validate libraries" & "Reticulating splines" and then just closes. 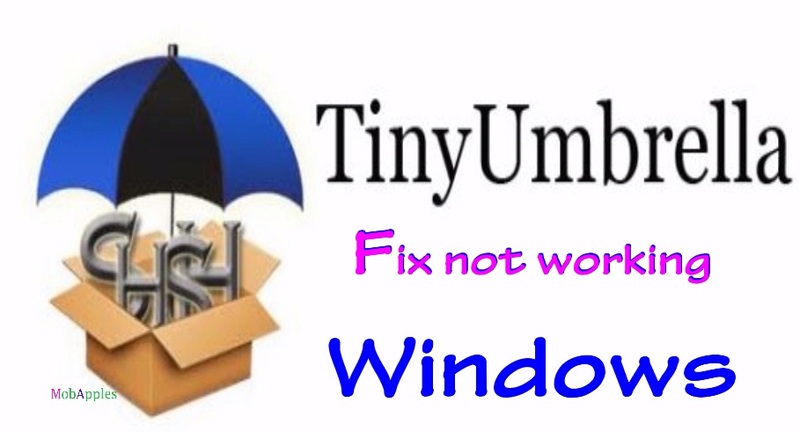 Most common explanations was Java issue - people advised to update or re-install Java, to disable firewall or to download previous version of TinyUmbrella but that's not it. The problem is that TinyUmbrella saves a path to SHSH files and when the path changes it fails to start. iOS 9.2 Jailbreak is still in Progress and will Release Soon - As we know, if Apple had killed Pangu jailbreak tool, since iOS 9.1 was released to all iPhone, iPad and iPod compatible. because it has been patched several vulnerabilities that are considered quite important for exploitation and jailbreaking, Maybe one of you that has been updated to version iOS 9.1 or iOS 9.2, and lost cydia, along with tweaks and apps that have special features and unique. Jailbreak for iOS 9.1 and iOS 9.2 before, was reportedly being worked by Pangu team, but Pangu team never responded to these rumors through the website or their official twitter, as we all know if Pangu team is a community of hackers who released a tool jaikbreak IOS 9, 9.0 .1 and iOS 9.0.2 some time ago. According to Stephen Chan on his personal blog, someone who report accurate news about jailbreak in the past, if at this time jailbreak for iOS 9.2 is in process and will release soon to the public. This news is taken by the official announcement, published by 3k asisstan the partner company Taig team via Weibo (microblogging site). According to the announcement 3K assistant in Weibo, the company believes if jailbreak iOS 9.2 will release soon in the near future, although it is still in progress and not yet ready to be release because the jailbreak is not yet fully completed, it is still unclear who will release a tool jailbreak iOS 9.1 and iOS 9.2, Pangu or Taig team. This is a good news for those of you who can not wait to re-jailbreak on iOS 9.1 and iOS 9.2 on your iPhone, iPad or iPod. you should be patient and wait until everything becomes clear, and do not waste your time to finding unofficial jailbreak tool on the internet, because surely you will only get a fake jailbreak tool provided by people who are not responsible for the benefit. There are also a few other online media have reported if the jailbreak iOS 9.1 and iOS 9.2 will be released at the end of 2015, but this rumor is not yet certain truth, because only a speculation. Until now jailbreak tool for iOS 9.1 and iOS 9.2, is not available from any developer or hacker community. The first thing you should do if one day iOS 9.2 jailbreak really release, you should clean restore your iPhone, iPad or iPod Touch, before jailbreak the device, especially for those who update the device via OTA, because it will cause problems or failures jailbreak. please visit this blog to still get the latest info related to jailbreak, or connect with social media. Pangu Reportedly will Release a Jailbreak iOS 9.1 and 9.2 -After Apple officially released iOS 9.2 for all iOS devices are compatible, in this latest update, no new features, just Apple fix some bugs and improve performance in the iOS 9.2. In late november Apple released a beta version of iOS 9.2 to developers. Maybe you will ask whether jailbreak iOS 9.1 and 9.2 will be released by the jailbreak community such as Pangu or Taig?. As we know, if Apple had killed jailbreak on iPhone, iPad and iPod since iOS 9.1 was released to the public, because it has been patched several important security flaws, for the purpose of exploitation by hacker community. For those of you who have updated to iOS 9.1. At this time, it is also no way to downgrade to iOS which can jailbreak. Some rumors have also been spread, if Pangu has been working since iOS 9.2 beta 4, and will release a jailbreak tool when iOS 9.2 was released. Currently, according to the news published by other media such as redmonpie and iPhonehacks, the media is saying, if Pangu team is rumored to release a tool Jailbreak for iOS 9.1 and 9.2, note Pangu Team is one of the jailbreak community that previously has released a tool jailbreak for iOS 9, 9.0.1, 9.0.2. For now, as we know iOS 9.1 and 9.2, it is not possible to jailbreak, use the tool from developers or any jailbreak community. Usually emptiness jailbreak tool as now, will be widely used by people who are not responsible with providing fake jailbreak tool that just makes your time wasted. so you should be patient until the official announcement of Pangu team come out. Because it is still a rumor, so it is not yet certain if this news is true and when the tool jailbreak iOS 9.1 and iOS 9.2 will be released to the public, the Pangu team also has not given any statements related to the jailbreak on iOS 9.1 and 9.2. Through the official account twitter and their website. For those of you who are still running iOS 9.0 to 9.0.2 and has jailbreak, you should stay to not update your device to iOS 9.1 (Still Open Signing) or 9.2. Not much we can do at this point, except wait until the team Pangu actually release their jailbreak tool for us all. However, if you do not care and do not want to jailbreak, you can update your device to iOS 9.2 anytime, because this version has been getting a lot of bugs fixes and performance improvements making it more stable than previous versions. You can use the OTA method, namely updating your device directly on the device, for those of you who have jailbroken device, do not use OTA, because it will cause problems such as stuck on recovery mode or stuck on the Apple logo. To remove jailbreak on your device, you should download iOS 9.2 ipsw file on ipsw.me, adjust to the type and model of your device, to get the the right ipsw file, which will be use to perform a restore through iTunes. This way will be deleting all of the data on your device, including the jailbreak. How to Add 3D Touch Features on Cydia App - You probably already know about the feature, 3D Touch. which became one of the new features on iPhone 6s and iPhone 6s plus, with the presence this feature, users can more easily access various applications quickly and efficiently on their iPhone, 3D Touch will display different functions depending on the type of pressure on fingertips, when touching the screen. such as the a tap, a press, and a deeper press. As we know, 3D Touch can only be used on the latest generation iPhone. However, users with iOS jailbroken device, can bring the 3D Touch features to a device that does not support this feature, by installing a tweak from cyida, one of which RevealMenu or Forcy. 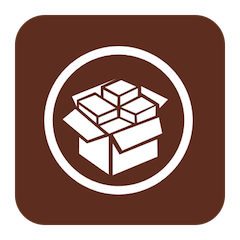 Cydia is one of the most common applications we use in iPhone jailbroken, because through this application the user can download various types of apps and tweaks that have specific functions and features on your device. All contained in cydia, can not be found in the Apple App store. after you read, how these features works, you might think to be able to add 3D Touch features on Cydia app, to easy for users to access these applications. Although RevealMenu or Forcy bring 3D features Touch the older generation devices. But unfortunately, both of them, does not support Cydia app. However, if you really want to have 3D Touch features on Cydia, you can install Tactful tweak, it released a few weeks ago. 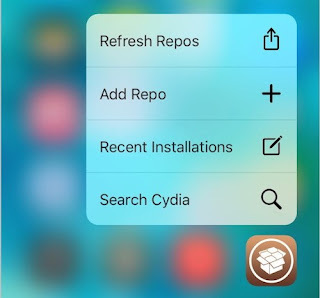 Tweak Tactful capable of providing 3D Touch gestures function on icon cydia app, which is located on the Springboard your on device, with display 4 shortcut options, such as Refresh Repos, Add Repo, View Recent Installations, Search Cydia. Of course, the four shortcut, it will be very useful when you are using 3D Touch gesture on cydia app. For example, on the shortcut menu "Add Repo" users can save time to access and add the repo or a new sources. Or Quick Search will display the search page and then automatically display the keyboard, then the user can type the name of apps and tweaks they want. In addition of the four shortcut, mentioned earlier. You will also be able to use Peek feature, by conducting regular pressure in the package to preview and Pop (depth press) to open a package, and if you want to install / uninstall tweak or app, you only need to do regular pressure (peek) then swipe it up. Tactful one of important tweaks that you need to install on your iPhone jailbroken. because it adds functionality to easy for users to access cydia. you can download Tactful for free. after installed this tweak, you can't find any configuration panel in app settings. How to Fix Cydia Error or Crash After Install Incompatible Tweaks - Same as always, after the tool jailbreak has been released by the community or the developer to the latest iOS version, users of the iPhone, iPad and iPod that supports tool jailbreak, will soon perform the jailbreak on their devices, because many users are impatient to enjoy features third-party applications that must only be done after they have jailbreak iOS devices. Examples of Cydia tweaks and apps with functions and special features. But, you should know after the tool jailbreak released usually still many apps or tweaks certain not yet support the IOS version you are running on the device, because the developers who make tweaks and applications, requiring several days to update their products in Cydia to be reused in the latest iOS. Many users who make mistakes because directly install their favorite apps or tweaks from Cydia, although not yet support the IOS version running on the device. Causing cydia on their device experience Crash or error. it is definitely cause of crash or error in cydia, are tweaks and apps that are not compatible. To avoid you from these problems, you should consider whether tweaks or the application you want to install has been supported by iOS on your device or not, you can read through the information contained there. If not, you should be patient. Usually repo or official source and a default will not allow to install apps or tweaks that are not compatible with your iOS. But it is different if you install from source or repo third party who is not authorized, you can install apps or tweaks that are not yet compatible with the risk can cause the device or app cydia crashes or enter into save mode and the worst is stuck in boot Apple logo. To fix the error or crash after install cydia incompatible tweaks or apps, there are several methods, but be better before restore and jailbreak again you can try this way. Step 1: If your device jailbreaknya not stable because it usually has just been released, such as iOS 9, you should not do force reboot, but turn off in the usual way, by pressing the power button a few seconds to appear "Slide to Power Off", then turn off as usual. Step 2: Once your device is fully Off, turn it back on your device by pressing the power button, along with pressing the Volume UP. Step 3: Once the Apple logo appears, release the power button, but do not release the Volume UP button until your device turns back on with normal condition. Step 4: Then please check tweaks or application, before you cydia error or crash, then uninstall it. How to Untethered Jailbreak iOS 9.0, iOS 9.0.1 and iOS 9.0.2 - As we know, if Apple has released IOS 9 last month for all users of the iPhone, iPad and iPod compatible. Perhaps today there are still many users who do not use the IOS 9, on their devices. by reason jailbreak iOS 9, is not yet available. jailbreak is one reason why people do not want to update the iOS version, on their devices. it is only natural, since many additional features that can not be enjoyed in a standard device or without jailbreak. 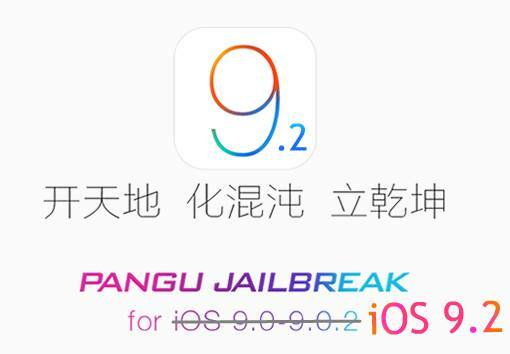 For those of you who are looking forward to jailbreak iOS 9, maybe this is good news for you, because one of the jailbreak community is Pangu coming from China had recently been released Untethered jailbreak tool for iOS 9.0, iOS 9.0.1 and iOS 9.0.2. previously, many are feeling pessimistic about the presence of tool jailbreak ios 9. because Apple has said if their latest mobile operating system, use a new security system that is rootless, thus making it difficult to jailbreak iOS 9. Maybe you think if this jailbreak tool released by the team Taig, because the jailbreak tool for iOS 8 last version, released by them. Derived from the same country with Taig, Team Pangu the jailbreak community trusted and ever released a jailbreak tool for iOS 7.1.x and iOS 8.0-8.1. today they released a tool to jailbreak iOS 9.0, iOS 9.0.1 and iOS 9.0.2. according to the official website Pangu9 jailbreak tool is compatible with iOS 9 devices. Same as always, there are some things you need to prepare before the jailbreak IOS 9 on iPhone, iPad and iPod. this as a requirement in order to successfully jailbreak process. you need to know as well, if the jailbreak tool Pangu 9 is only available for Windows computers, and not yet available for Mac OS X version. First, backup all data on your iPhone, iPad and iPod Touch. using the iTunes application on the computer. The anticipation in case of failure jailbreak, you will not lose your important data. Secondly, If previously, your device is updated using OTA, you should download the latest version of the firmware iOS 9 and restore to your device using iTunes. because the OTA update would have failed jailbreak. Once you understand these two points above, then we go directly to the process step-by-step, how to Untethered Jailbreak iOS 9.0, iOS 9.0.1 and iOS 9.0.2 on iPhone, iPad and iPod Touch. Step 2: Disable the find my iPhone, passcode and touch id, on your device through the application settings. Step 3: Position your iPhone, iPad and iPod touch to Air Plane mode through the Control Setting. Step 4: Open the Pangu9_v1.0.0.exe application you downloaded previously, by right click and select "Run As Administrator". Step 5: Connect your device to a port computer via USB cable orginal and wait for the jailbreak tool Pangu9 detected your device. Step 6: Then click the "Star" and "Already Backup" on Pangu9 to start the jailbreak process. Step 7: When the jailbreak process is already running, you will see the two applications that will appear on your homescreen device, thats applications is Pangu and WWDC. Step 8: In the process 55% of your device will reboot and return to normal, you will be asked once again to position your device to Air Plane Mode (65%). Step 9: Once your device is in the position Air Plane Mode. jailbreak process will be re-run and precise at the 75% you will be prompted to open the Pangu application on your device. Step 10: Once you open the application Pangu on your device, you simply tap the "Accept", then tap the OK button on the pop-up box "Pangu Would Like to Access Your Photos"
Step 11: As of this process, do not close the Pangu application on your device, let it remain open until the jailbreak process is completed 100% "Jailbreak Completed". Your device will reboot once again, after returning to normal you will see the Cydia application on your iPhone homescreen.